Microsoft cheerleaders like Alex Brown and Jesper Lund Stocholm are quite deliberately misinterpreting or mis-presenting a vote related to OOXML by claiming that IBM “supports” OOXML. Voluntary Standards are developed with the intention and expectation that the standards will be suitable for wide application. As their use is likewise voluntary, an affirmative vote does not commit an organization or group represented on the committee to the use of the voluntary standard under consideration. If you find that you cannot vote YES and wish to vote NO or ABSTAIN, please state this and explain the reasons for your position in the places provided. IBM votes for OOXML at the ANSI (the U.S. standards body) and the Microsoft-sponsored mob rejoices. The problem? 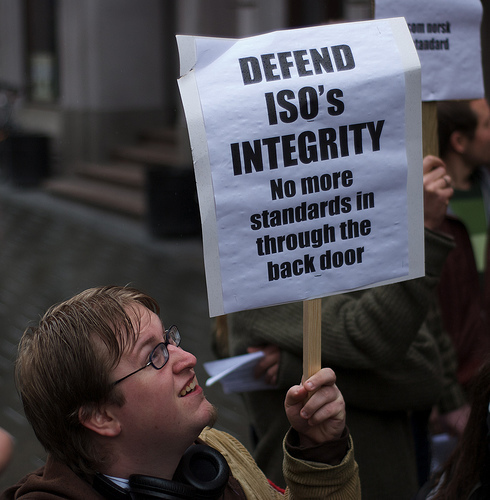 Despite what it seems, the rules of the particular TC at the ANSI did not allow members to go against a previous ISO vote on the standard. In short, Jesper & Co are dancing over the body of a dead horse, or rather, continue to behave like some analysts who claim that Bernie Madoff’s business has a great future. Is OOXML a standardisation ponzi scheme? I think it is.